Attention to Malaysian Deaf Community. (Deaf individuals, Sign language students/ Interpreters, Parents / Siblings of the Deaf, Friends of the Deaf) Interested to experience a holiday of a lifetime among the Deaf and the Community? 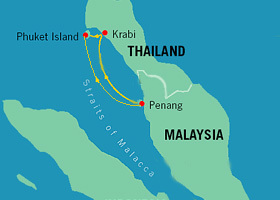 Join us in this fabulous cruise ( Penang- Krabi- Phuket) from 27- 30 November 2011. Interested? Special discount for the Deaf. Hurry! 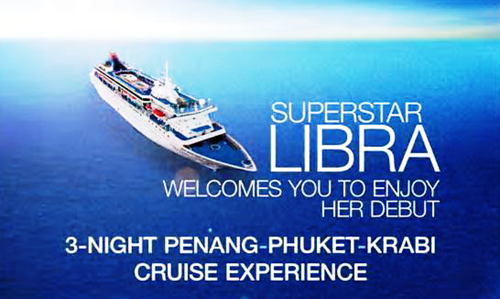 The estimate price is between RM1,100-RM1,300 per person for 4 days/3 nite cruise. (Inclusive all meals, fuel surcharge, accommodation ) Journey start in Penang on sunday Nov 27, 3 pm and return to Penang on 30 Nov, 10 am. Children and adults same price. Hurry book your place now as places are limited! Please inform Lucy, lucylim64 [at] gmail.com if you are keen to join this cruise by 30 June 2011. Registration forms will be sent to you. Thank you. *For Deaf Malaysian only. If you want to know more about Deaf Malaysia, please read about Deaf Community Malaysia.